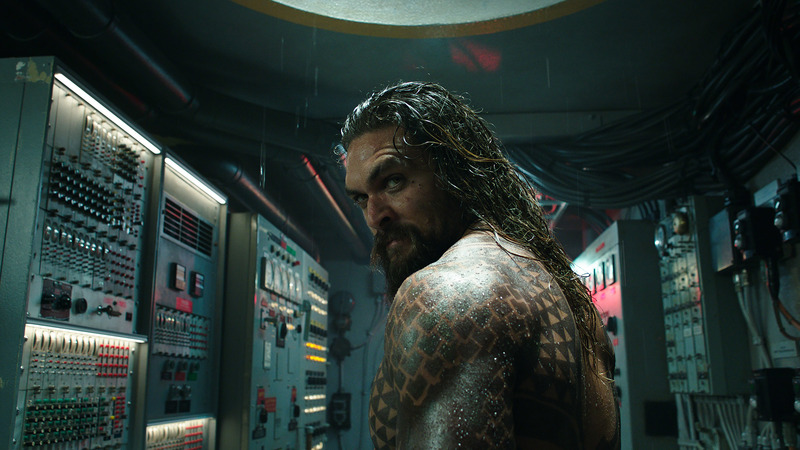 Aaron Neuiwrth reviews Aquaman, a DC superhero film that really goes with it when it comes to insane visuals to match the character and his world. It feels like a lot of the big studio films from the latter portion of 2018 have been designed as challenges accepted to varying results. Creed II was a film that proved it could take the ridiculous events of Rocky IV seriously for an affecting, character-focused sequel. Mortal Engines tasked itself with being yet another dystopian adventure film, but bigger. 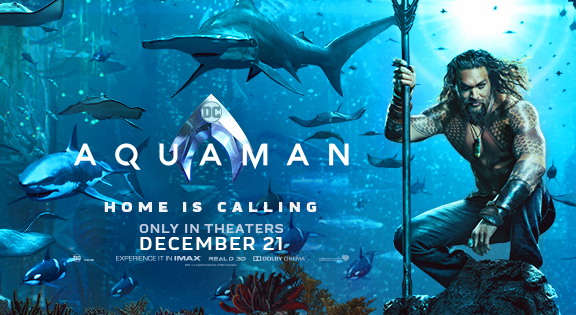 Similarly, Aquaman has now arrived to show audiences exactly what a movie about the superhero who talks to fish can do on a grand scale. The film is also overlong and serves as the latest “fill in the blank” type of superhero origin story. However, with cinematic pleasures that include an octopus playing drums, I am happy to accept what the visually gonzo Aquaman movie delivered in the hands of director James Wan. At this point, it is clear there’s a shift in DC’s cinematic universe. If Wonder Woman felt like a “best of both worlds” scenario that balanced the look of a Zack Snyder film with the soul of something more hopeful (Justice League is something else entirely, given that compromised scenario), then Aquaman feels closer to seeing Warner Bros. embrace what their creators want to do in their standalone films. Given the trajectory of Wan’s career, it’s not like you can blame the studio for trusting their goofiest Justice League member in his hands either. Wan has gone from one little horror movie, the original Saw, to genre successes Insidious and The Conjuring, to massive blockbuster achievement with Furious 7. Not settling for just being a guy calling some easy shots, regardless of overall quality, he certainly brings a visual touch to each of his films. Now we have Aquaman, a movie that doesn’t know the meaning of excess, which has good and bad results because of it. As far as the good goes, this film is a visual delight. There is a ton of impressive (if a bit chaotic) CGI on display, though I would hold the movie up to the level of something like Avatar or an underwater Lord of the Rings as far as visual clarity. 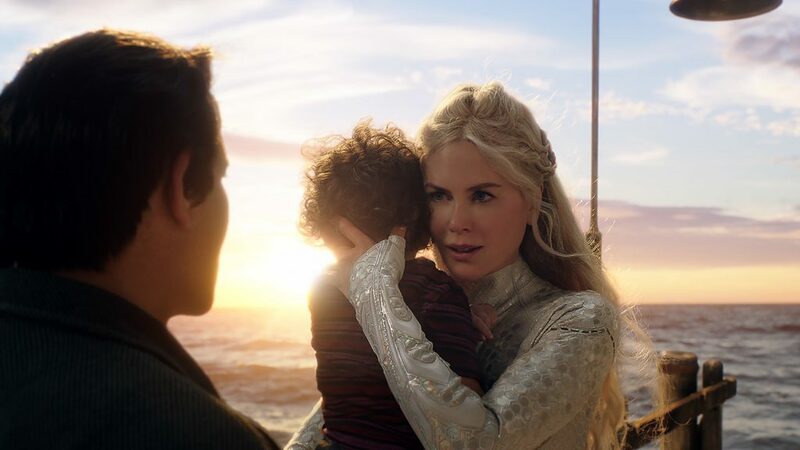 For a swashbuckling superhero film that takes place mostly under the sea, this was no doubt a complicated film to make, but the payoff is superb given what this journey is supposed to deliver. That’s certainly saying something given how the film shines brightest in its epic final battle, which is not something I could say about the other DC films of the past five years, which all peak early. 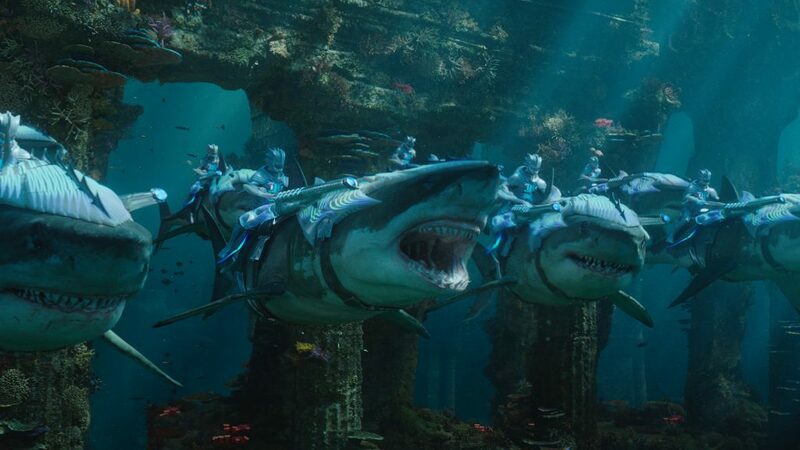 Unfortunately, for all of the fun to be had in seeing giant seahorses piloted by (Rocky IV’s) Dolph Lundgren and creative world-building when it comes to seeing how the underwater kingdom of Atlantis functions (it’s no Wakanda, but it’s neat), the movie still hits a few walls to hold it back from being a comic book classic. At 143 minutes, the film is far too long, given the story being told. The film rarely lets up in pace or having something wild get thrown onto the screen, but this is a case where enough can be enough with many scenes. 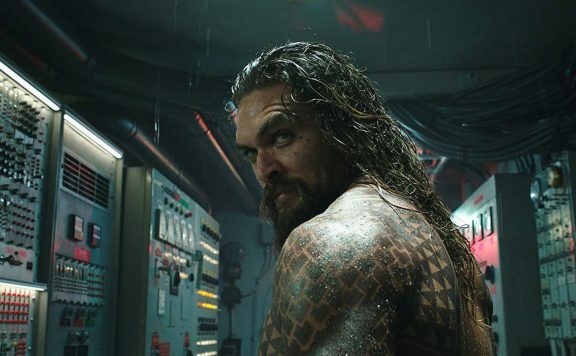 Additionally, the script by David Leslie Johnson-McGoldrick, Will Beall, and Wan, borders on awful when the actors aren’t up to the challenge of fully embracing just how silly, and outrageous Aquaman should be. Having already shown off his brand of dude-bro Aquaman in Justice League, Jason Momoa leads this solo film as an Arthur Curry with a bit more depth. We come to understand his backstory and what it is that has stopped him from embracing his title as Ocean Master. 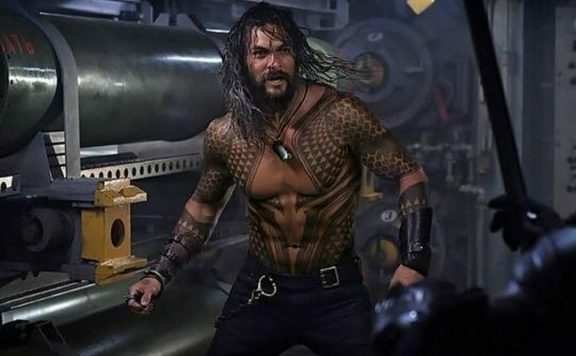 Given how iconography plays into these major superhero movie releases, I get that it will be hard to separate the image of Momoa from Aquaman at this point. I like the guy too, as he has a smartass attitude to go with his hulking image. That said, either the writing isn’t serving him, or Momoa only comes across as effective when delivering the beat downs or giving Blue Steel looks over his shoulder. Much of the film is a globe-trotting adventure that finds Arthur teamed up with Amber Heard’s Mera. The two, frankly, don’t have much chemistry. As a love interest, that connection only seems to happen because it’s what the story demands. 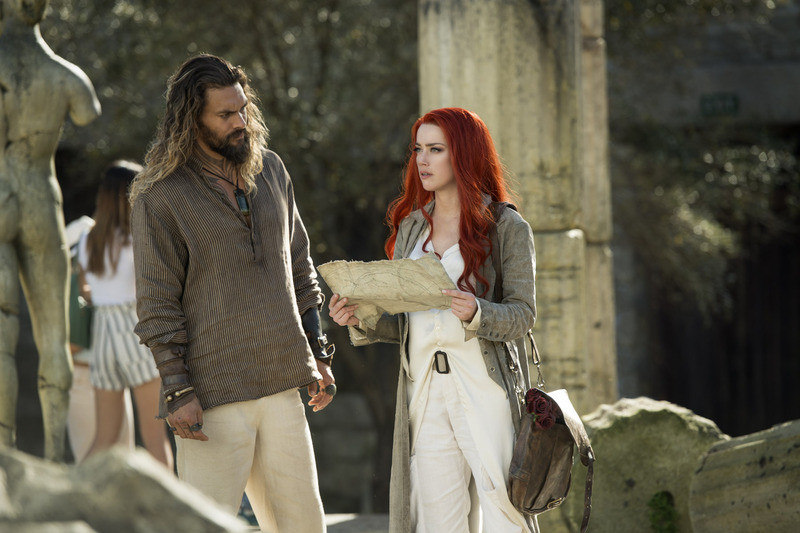 Some droll deliveries make it sound as if Heard understands how goofy this whole ordeal is, but in terms of the search for a long, lost trident, Arthur and Mera aren’t exactly a screwball comedy pairing I wanted to see more of. Other significant portions of the film are devoted to the villains, which worked quite well. Patrick Wilson is having a ball hamming it up as Orm, Arthur’s half-brother with a mind to unite the seven underwater kingdoms and bring war to the surface world (insert social commentary about humanity polluting the planet here). There’s also Yahya Abdul-Mateen II effectively pulling off the role of Black Manta, a ruthless pirate who was wronged by Arthur and wants revenge. It’s a thin role, but Abdul-Mateen brings some layers of nuance that keep him interesting enough to watch. But what makes this film still work better than almost all the other DCU films? Well, it’s the commitment to its absurdity. From an opening prologue that compares the relationship between Arthurs’ parents (Nicole Kidman and Temuera “Jango Fett” Morrison) to Jules Vern, to an action sequence devoted to aquatic commandos blowing up a good portion of Sicily, this film at least seems aware of what it wants to deliver. Aquaman is a pretty good example of “go big or go home,” even if that does hold things back regarding the story. Compared to a claustrophobic series of scenes found in Justice League, Aquaman has a scale that shows what it means to be Ocean Master. As a filmmaker proving he’s here to have fun, Wan dives in deep to explore the various underwater kingdoms, bringing a bright color palette to the proceedings, and having all sorts of wild explanations for how everything works (when Willem Dafoe’s mentor character, Vulko, is not around to deliver exposition). Wan even jumps at the chance to bring in his horror roots by way of a killer sequence involving the alien-like aquatic monsters of the Trench. I wish there were a more involving throughline for the story that didn’t just feel like a twisted version of Thor. It’s a bit of a shame some performances didn’t match up to the extreme levels of the visuals and others around them. And I can’t quite understand why these DC movies continue to have some of the worst needle drops around (though the actual score was solid). Still, there’s a lot to like in Aquaman. It’s a lot of fun, as the attitude for a film like this is in the right zone. One also can’t deny the level of power that comes from seeing Momoa in the classic orange and green suit, which works in his lasting appeal. 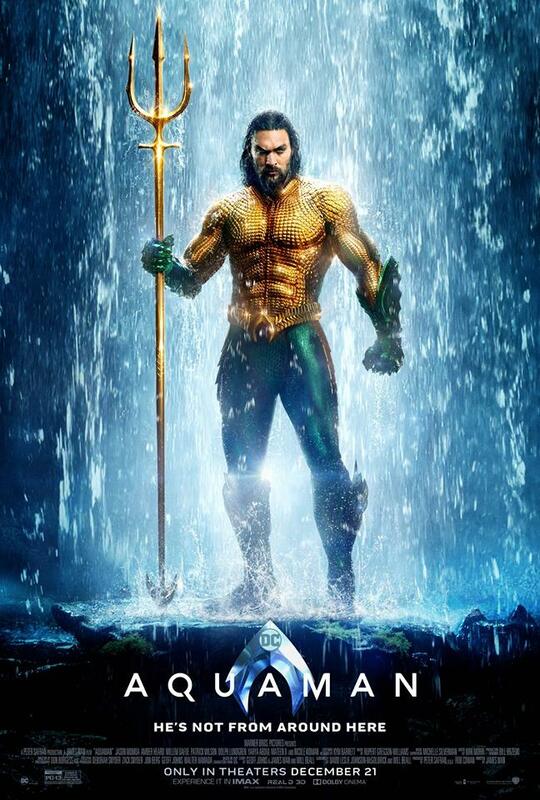 In a time that continues to place comic book superheroes in a class that’s all their own, Aquaman can now stand tall as well, even if there’s a little ocean spray back. Aquaman Review: Bold, Bonkers, and Badass.